When the temperature drops below comfortable levels, as it does every year, will you be ready? When you schedule heating services in Washington with a member of our HVAC team, you’ll have no doubt about it. Give Joes Plumbing Co. a call today to learn more about the services available to you. No matter how you choose to heat your home, you can count on our technicians to ensure that your system is up to the challenge. From the installation of new heaters to replacement, repair, and maintenance, we have got you covered when it comes to heating services in the Sacramento area. No job is too large or small for our team. Don’t hesitate to get in touch with us today. When it comes to installation, you need a company who can take care of the entire process correctly the first time. We offer a wide range of different heaters and we can make certain that yours works well for years to come. We make sure that our clients have a system that is appropriately sized to their homes so that it works just as expected. We use only high-quality products and materials from leading manufacturers in the industry, and we take special pride in the technical expertise of our HVAC technicians who are as talented as they are committed to your satisfaction. We stand behind our work and we strive daily for the best possible customer experience. All heaters break down at some time or another. Our repair service will guarantee that your system is restored properly the first time. Whether you’re having issues with your furnace, heat pump or ductless heater, we can be there in no time to evaluate the situation. Whether you know for certain that you have an issue with your heater or you merely suspect it to be the case, we can make sure that your heating repair service is carried out properly the first time. Our technicians are highly trained and experienced to undertake just about anything when it comes to heating issues, and we stand behind our work so that you can be confident that your heater repair will be completed correctly the first time. How Do I know If I Need Heater Repair? At times, heating problems are obvious. If you find that your heating system has broken down completely, then it’s not difficult to decide that professional heater repair is necessary. You simply pick up the phone and give us a call so that we can assess what the issue and provide a solution. In certain cases, it may be more cost–effective to replace rather than repair your system. But there are other, more subtle signs that you need heater repair to keep in mind. Both gas and electric furnaces continue to be popular options when it comes to heating solutions in our area. 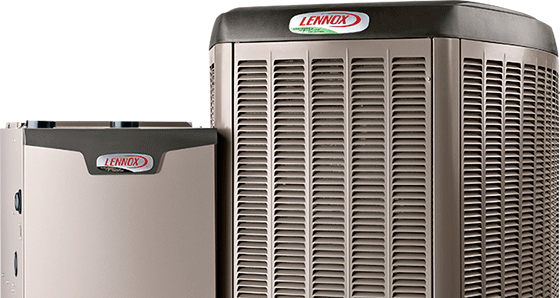 They coordinate well with central air units, they are cost-effective and also powerful. We install and service quality furnaces. Furnaces are large, complicated machines that involve a variety of components and materials in order to function at all. It’s therefore imperative that you hire a professionally trained and qualified technician even for the most apparently minor repair or tune-up. We have long specialized in furnaces and we can take care of just about any furnace service you may require. Simply let us know what you need and we’ll make it so. Thinking about a furnace? If so, then it’s imperative that you begin by getting in touch with the technicians our team so that we can advise you throughout the entire process. It’s important to get everything right the first time, from system selection to the integration of that system into your home. Our furnace installation service ensures this is the case. We will make certain that you find an appropriately sized furnace and that it meets your budgetary requirements. If you already have a furnace but it’s no longer operating just as it should, then it might be time for a furnace replacement. In either case, we can make sure everything goes according to plan. Whether you find that running your furnace results in high energy bills, strange noises, or it simply fails to work as it should, then you might need to consider furnace repair from Joes. We can evaluate your furnace thoroughly in order to discover the root of the problem and recommend a viable solution. We spare no effort at bringing the furnaces of our customers back to life. If you want to avoid many problems that furnaces are susceptible to, then you should consider our furnace maintenance service, which thoroughly cleans, adjusts and inspects your system on a regular basis. If you’re looking for a system as energy efficient as it is powerful, then ductless heating might be right for you. We install and service ductless heaters throughout the Washington area, and we can do the same for you, whether your system has broken down or you’re looking for a new one. Going ductless is beneficial to your household, you avoid the various energy loss issues associated with ductwork, you will enjoy a significant boost to your home’s overall energy efficiency during the winter. Moreover, while ducts can be havens for the accumulation of dust, dander and other debris, ductless heating systems avoid this entirely so that there’s nothing to get between you and your warmth and comfort. However, all of these benefits are impossible without hiring a professional to take care of your system from day one. We install, replace, repair and maintain ductless heating systems throughout the Washington, CA area. Let us do the same for you.